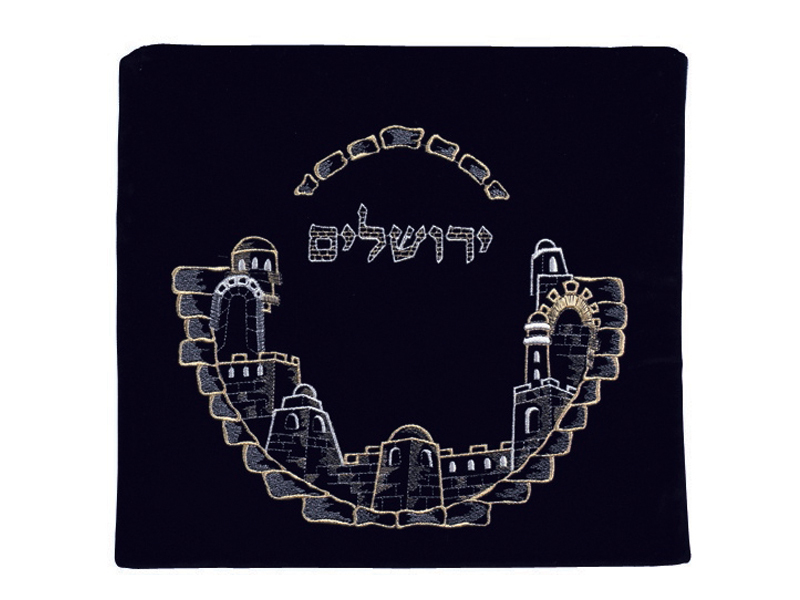 The City of Jerusalem velvet tallit/tefillin bag is beautiful and unique. This tallit/tefillin bag is tastefully designed to capture the spirit of Jerusalem. Based in a semi-circle, the classic Jerusalem skyline ascends upwards, the direction of heaven. The unique Jerusalem stone design lines the border adding a artistic touch. The word “Yerushalayim”, Jerusalem, is embroidered prominently in Hebrew lettering above the design. Tallit/Tefillin bag made of velvet. Fully Lined in the inside for long lasting usage.